Foldable screens, support for 5G networks, multi-cameras and smart biometrics are four features that manufacturers are hoping will encourage consumers to upgrade their smartphones over the next decade, analysts claim. Smartphone sales have plateaued due to saturation in developed markets, a dearth of growth opportunities, and a perceived lack of innovation in hardware which has led to people hanging out to their devices for longer periods of time. However, ABI Research believes this search for expansion will see smartphones completely transformed by 2027. 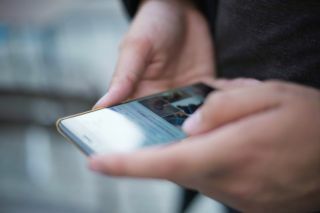 “The smartphone market has seen a large amount of technological development over previous years, which is expected to continue moving forward,” says Stephanie Lawrence, Research Analyst at ABI Research. 5G support is the most obvious evolution. The first commercial networks will go live later in 2018 and will eventually offer ultrafast speeds, higher capacity and ultra-low latency. The first compatible smartphones will arrive in 2019 and ABI predicts there will be more than 1.4 billion 5G handsets by 2027. During the same period, it is expected there will be 553 million handsets with supports for fingerprint on display (FOD) biometrics, while flagship smartphones will add even more camera sensors to improve the quality of photographs. One of the most transformative changes in form factor will be foldable displays which allow for a tablet-like experience on a smaller device. Such smartphones have been touted for some time, but the complex manufacturing and robustness has been a barrier to implementation. However it is thought the rumoured Samsung Galaxy X and the new RAZR devices will sport foldable displays and that there will be 248 million of them in circulation by 2027.